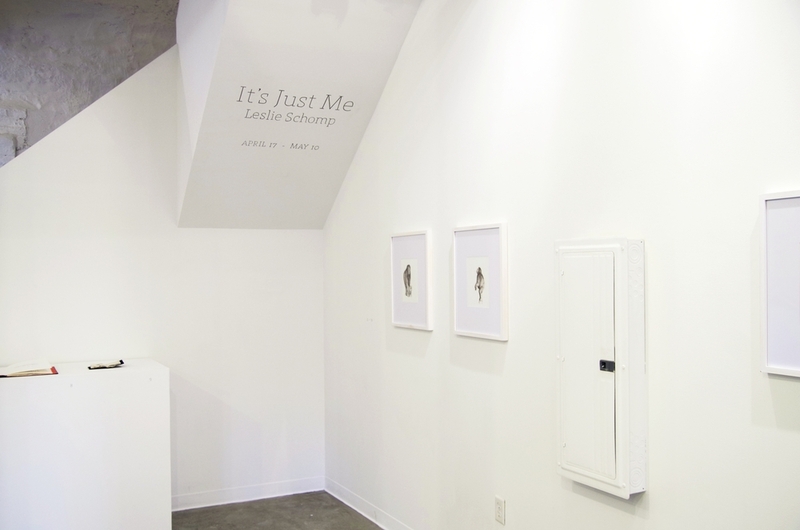 GRIN is pleased to present "It's Just Me" by Leslie Schomp, an exhibition of two and three dimensional objects exploring self portraiture. Employing methodologies like embroidery, sewing and stitching, Schomp's obsessive and compulsory processes force the same re-examination of work that drives a constant looking and re-looking at oneself. Her work attempts to capture a record of her existence from moment to moment while paying tribute to both domesticity and the natural self. 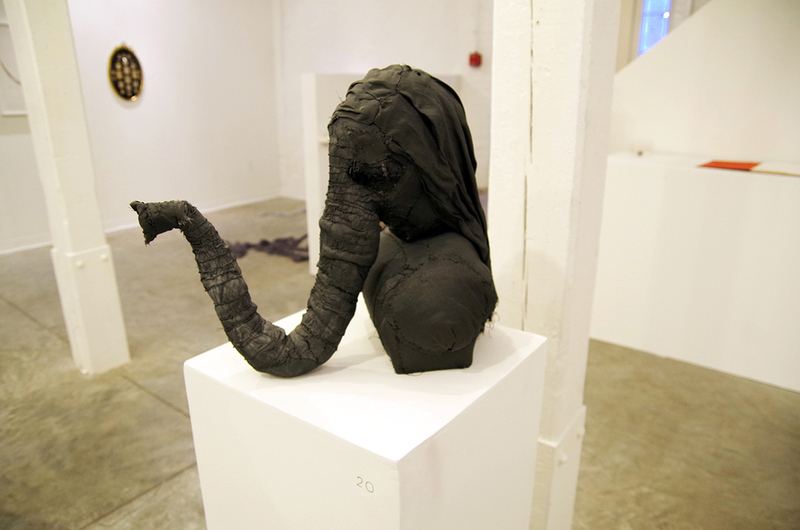 "I am creating a series of drawings and sculptures that act as my memoirs. My work explores self-portraiture as a subject. To look at myself is the starting point in navigating my world. The work is not a record of exact events but more an examination of relationships, roles, and moments. 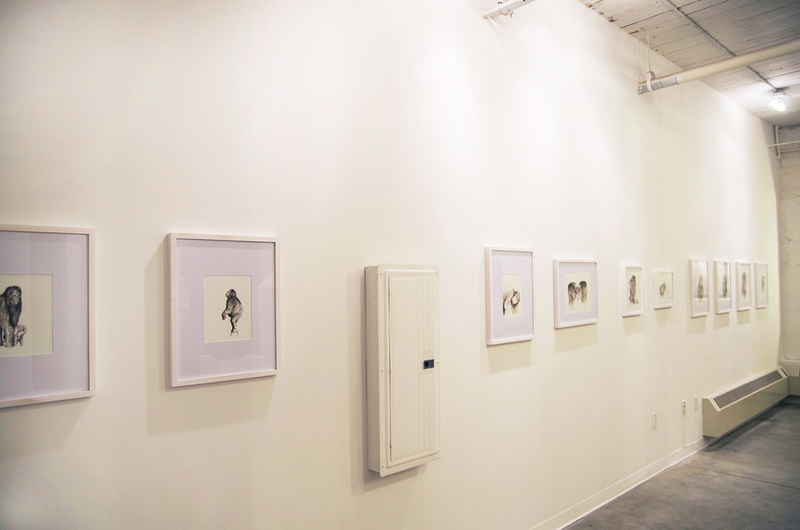 Through my drawings, I examine myself as a reflected image, as well as a biological and psychological being. I find this an intriguing challenge because the edges of the self are fluid and difficult to define. Biologically, one’s edges exchange moisture, air and heat with the environment. Psychologically, our boundaries of mind and heart become unclear as we yield to and resist those around us. I find the self is always changing. Our reflections change constantly in light, our bodies with heat and growth and our minds with information gain and loss. Lately I am looking at animals and their behavior to try to understand myself. Children are often taught about the world through stories of animals emulating humans. It is the reverse I am interested in. I look at seeing myself as an animal to find my relationship with nature. I see myself as very much a part of nature as opposed to apart from it. Inspiration for the format I often work in comes from my fascination with historical samplers, pressed flower specimens, diaries, miniatures, embroideries, Victorian mementos, and tokens of love. My self-portraits in dollhouse frames are smaller than my thumb. Changing scale allowed me to reconsider how I draw my head. Much of my work is stitched and I play with a variety of stitching or ways of drawing with thread and cloth. I also use a variety of materials such as hair, pressed flowers from my garden, vintage cloth and clothing. Stitching and pulled threads allow line to be both physical and illusory. 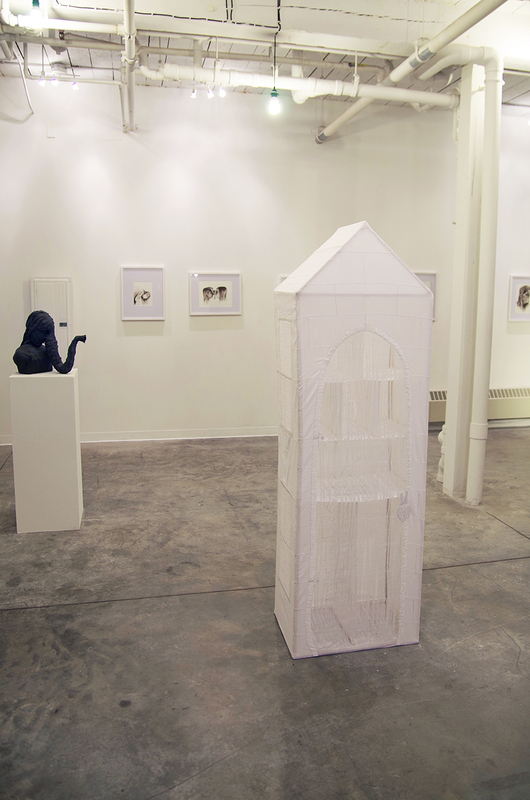 Leslie Schomp received her BFA from Florida State University and her MFA from the Massachusetts College of Art. She was a finalist for the Massachusetts Cultural Council for Drawing in 2008. 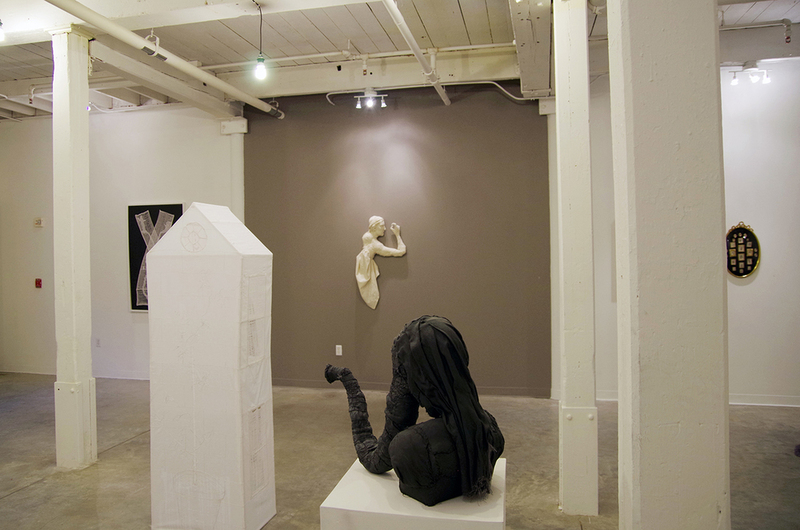 She has recently co-curated and participated in an exhibition at the Art Complex Duxbury titled Self/Fabricated. 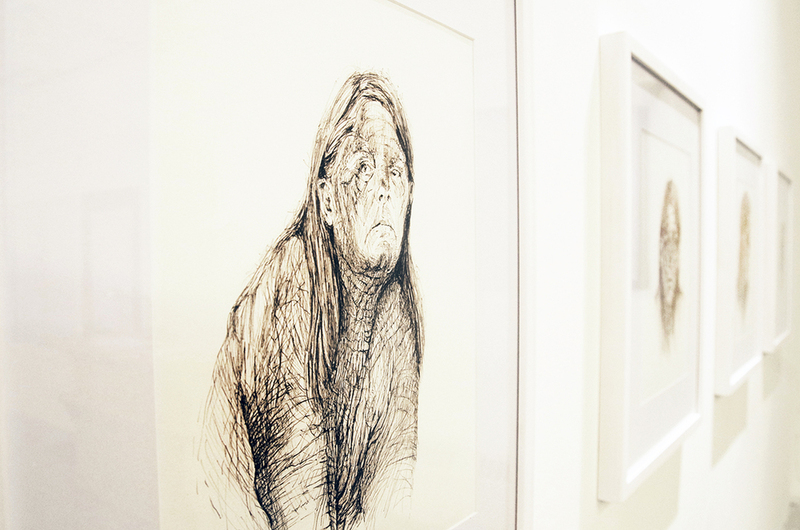 She has also shown her work in galleries in various areas of the country. She lives and works in the Worcester, MA area. Raised for 11 years in a small Irish Village, Schomp was educated at a convent school where she learned requisite domestic skills: embroidery, sewing, knitting, and quilting. As a girl, Schomp used these skills to make her own dolls, and as a teenager, she fabricated clothing for herself from vintage castoffs. Though she studied and worked as an artist, it was only after her sons birth, when time limitations demanded pragmatic decisions, that she began to incorporate fabric and stitching into her work. -Excerpt from Self/Fabricated, written by Katheen O'Hara and Beth Kantrowitz.